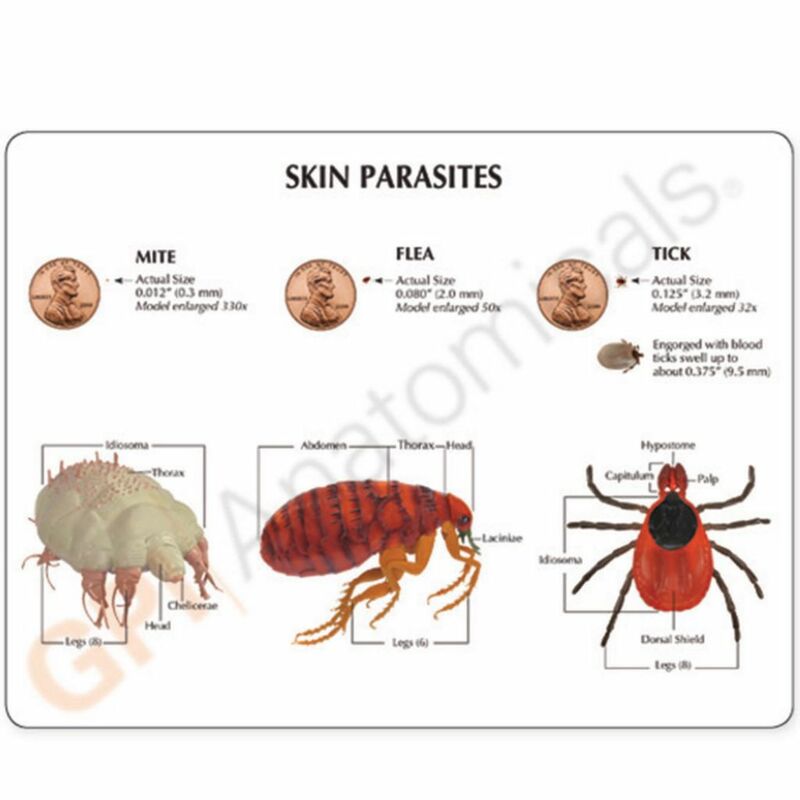 A parasite is an organ that grows, feeds, and is sheltered on or in another type of organism while contributing nothing to the survival of its host. 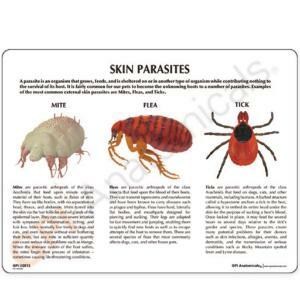 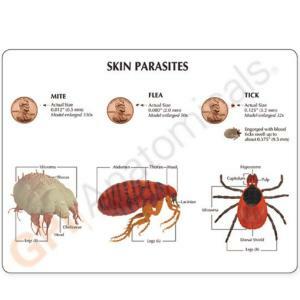 It is fairly common for our pets to become the unknowing hosts to a number of parasites. 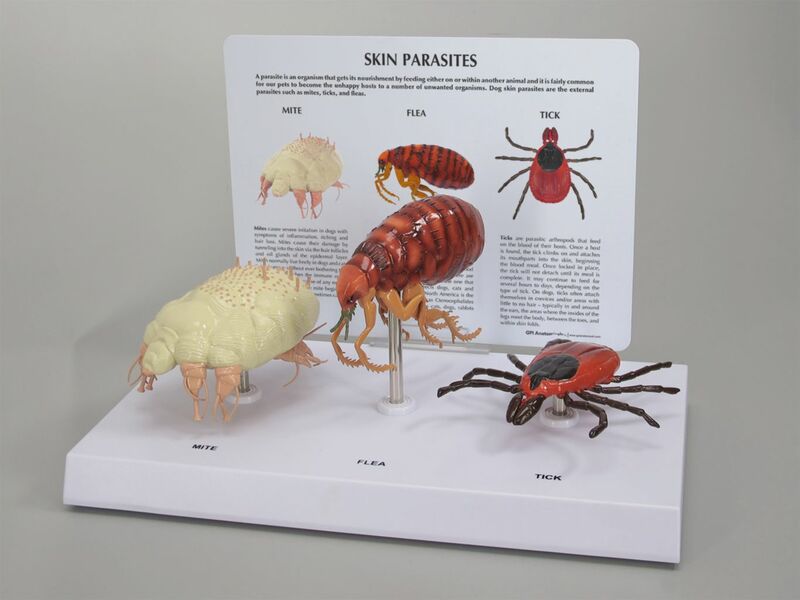 This model here shows in great detail the 3 most common external parasites a mite, flea, and tick.